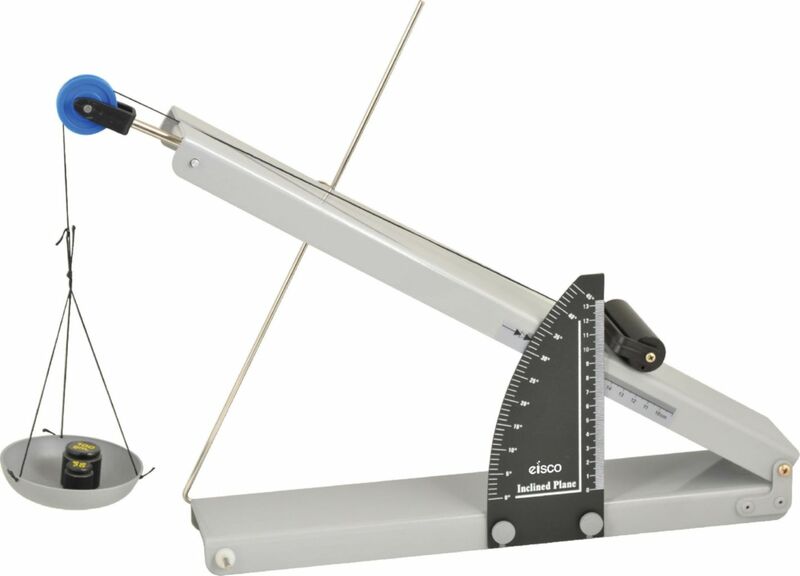 Aluminum inclined plane with protractor. This new Inclined plane has a solid aluminum construction, comprises of a pulley which can be adjusted. The length of the plane is 480 x 70 mm approx. and has a protractor for angle measurements. A very useful apparatus to Investigate acceleration, friction, gravity, Galileo's free-fall experiments.